Less than three months before a federal law requiring labels on all genetically modified foods is scheduled to go into effect, the United States Department of Agriculture (USDA) is finally revealing details of how the labels could look and opening them up for public comment. The USDA is inviting consumers, scientists, and the food industry to debate a number of specifics left unanswered by the final text of a labeling law that was passed in 2016. Among the many details up in the air are whether sugars and cooking oils derived from genetic engineering will be included in the labeling program and whether the information will be accessible by smartphone only. Under the Obama administration, Congress passed the first federal law in the country’s history to require labels on all foods containing genetically engineered ingredients. But the federal labeling legislation was seen by many food safety advocates as an attempt to squash their own, stricter efforts to require labeling locally. The state of Vermont in 2014 had passed a stringent law requiring labels on all foods with GE ingredients, sparking an immediate backlash from major food corporations. Monsanto and others had aggressively fought the legislation and sued the state of Vermont when it passed. Just as Vermont’s law was scheduled to go in effect in 2016, a bipartisan group of lawmakers led by Sen. Mitch McConnell passed a vaguely written federal labeling law that preempts state laws, or prevents states like Vermont from enforcing their own labeling laws. The federal legislation promised a standardized, national program for labeling bioengineered food. While food safety advocates, environmentalists, and the organic food industry have long called for labeling on genetically engineered foods, the groups now say that the labeling laws set to go in effect at the end of July may benefit the industry at the expense of consumers. Among the proposals under the 2016 federal law that the USDA is considering, which food safety groups are lobbying against, is one in which GE labels will simply be scannable codes that can be accessed via smartphone. Reading such labels in the store would require a reliable phone and broadband connection, “technologies often lacking in rural areas,” writes the Center for Food Safety. 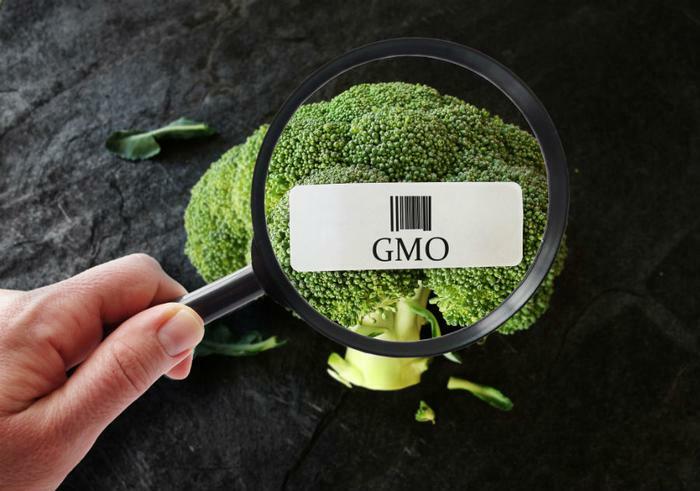 The group says it is also concerned about proposals to leave the terms “Genetically Engineered,” “GE” “Genetically Modified organisms” and “GMOs” off of the federal labels. Instead, the USDA is proposing identifying such foods as being “bioengineered,” which isn’t inaccurate but may be confusing to consumers who are more familiar with the “GE” and “GMO” terms, according to advocates. "USDA's exclusion of the well-established terms, GE and GMO, as options will confuse and mislead consumers, and the agency must instead allow the use of those terms," Center for Food Safety’s executive director Andrew Kimbrell said in a statement. The food and pesticide industries say that they support the federal legislation. Monsanto counts itself as just one of 1,100 organizations that advocates for the federal labeling law. “We understand that consumers want to know more about their food and believe this framework will provide consistency in access to information about the use of GMOs in the food system across the country,” the company wrote on its website. The USDA is giving the public until July 3 to leave their comments.